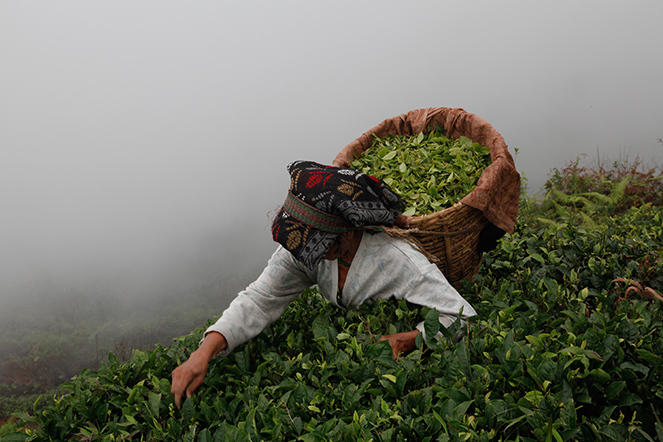 Vertiginous slopes and lingering mists form the scenery of Darjeeling. Out walking, a tea plucker appears in the thick fog. She climbs amongst the tea plants with astonishing agility. Poobong, a long-abandoned and inaccessible plantation, is gradually coming back to life. I am visiting it for the first time.